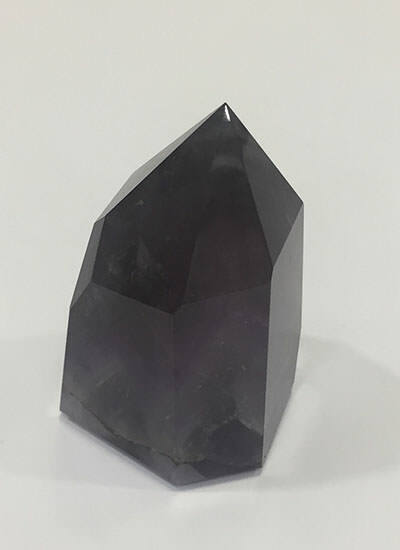 Approximate size width 35 mm x 35 mm, Height 60 mm that is 6 cm weight The Amethyst natural point is polished in such way that the shape of the amethyst point is intact only the crystal is polished to make it more attractive. Generally Amethyst Points or the natural amethyst crystals are found in 6 facets. This crystal has a light and dark violet to Bluish color.The stripes on this natural makes it look more beautiful.